The Chance Rides Aviator offers interactivity for all “wanna-be” pilots in the crowd. 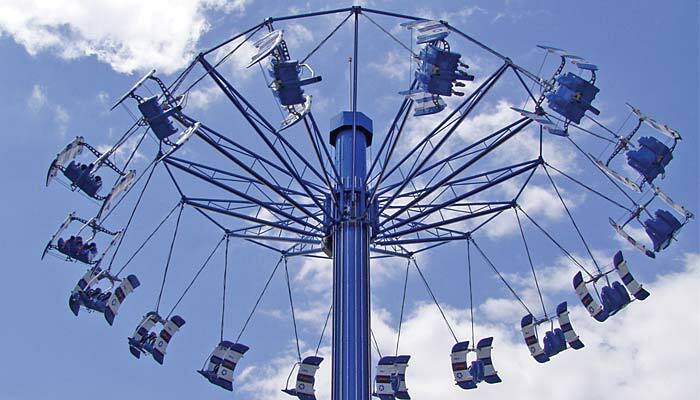 The 100-foot-tall telescoping tower lifts riders into the sky, where they can control their own flights. With its sixteen two-passenger seats, the Aviator has the capacity to hold 32 riders.